IC 3568 lies in the constellation Camelopardalis at a distance of about 9 000 light-years, and has a diameter of about 0.4 light-years (or about 800 times the diameter of our solar system). 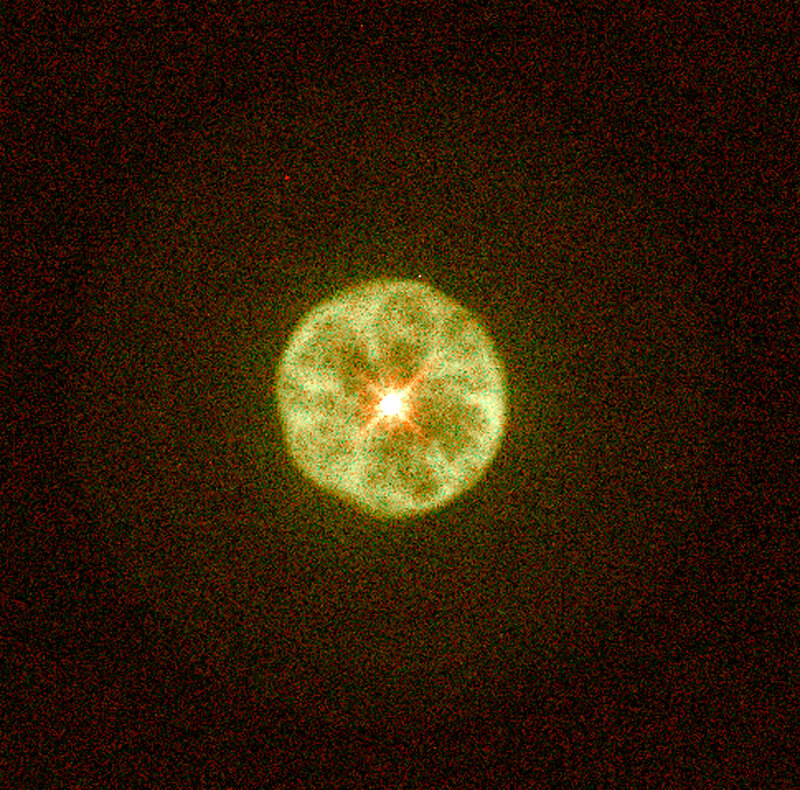 It is an example of a round planetary nebula. Note the bright inner shell and fainter, smooth, circular outer envelope.